Heroes Aren’t Hard to Find’s Charlotte Mini-Con returns to the city with a new venue, new guests and new goals this year on Sunday, January 20th at the Grady Cole Center. sense to consider this “mini” convention a true miniature anymore. This year’s event will also be giving back to the community by taking donations for the Second Harvest Food Bank, as well as for the American Red Cross. Donations will be accepted for both charities, and there will be special incentive convention exclusives for those who make contributions to these charities. Admission to this year’s event will be FREE of charge to anyone who registers in advance at http://charlotteminicon.eventbrite.com/. Parking for the event will also be free, and the event is completely accessible and is, in true Heroes form, totally family friendly. 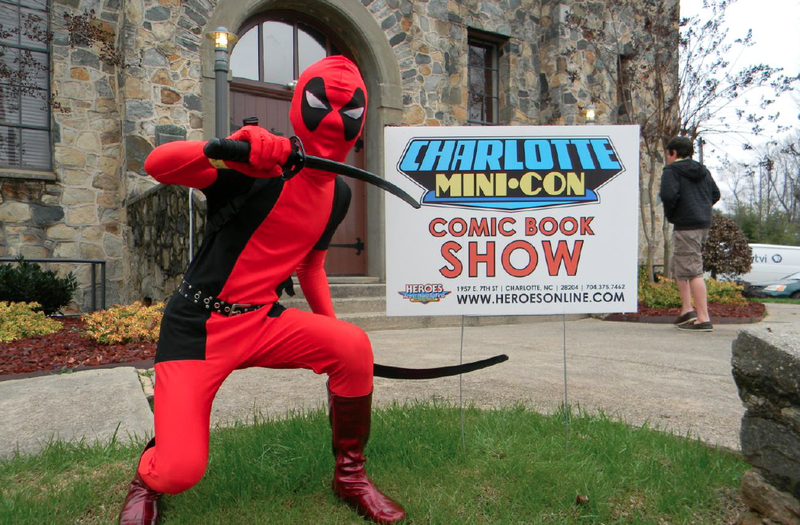 “Charlotte Mini-Con” may have started out small, but it has been the catalyst for a much larger and beloved show, and it is starting to come into its own as a can’t-miss convention for the post-holiday season. We hope to see you there! For more information about the “Charlotte Mini-Con” please check out our Facebook page at https://www.facebook.com/heroesonline or our website at www.heroesonline.com!